FFFWEEK 10 year celebration was epic. It’s just that simple. How can you be in NY and not have a good time?The weather was perfect & the sky was blue. My fight to NY was great; the young lady next to me was from Greensboro. She moved to NY for a change of pace, as we continued talking she shared how she has been afraid to live her passion. In my head, I asked the Lord if He was playing tricks on me & of course He said no. After listening to her, I shared the quick version of my story and told her to "Come to herself". Before leaving the plan she looked back and said thank you with a warm smile I responded Go Live Your Life! Thirty minutes and $50 later, the UBER driver who talked all the way from the Bronx to Manhattan dropped me off at my home for the week and man-oh-man was I glad to step into a peaceful & quiet space...LOL. I almost had a moment like the character in "Daddy's Little Girl". When Julia told the driver she did not want to fraternize... LOL. But I kept my cool and let him talk. Afterwards, I found the rooftop of my building, had the best Georgia peach of my life & took a nap. Once my travel boo Tiearny arrived we did what we do best, we did NY. But wait... Before we met, I left the rooftop in search of a bathroom. The building where our condo was located didn't have a public bathroom. I looked around and almost said a few choice words or a not so nice nature. I immediately started walking to the closest corner in hopes of finding a facility; I went into different shops and no one had a public bathroom. Mind you, in NC bathrooms are required if you serve food. I don't know where the employees use the bathroom in NY, but I was 99 HOT and I have to tinkle. I don't know what happened when i turned thirty something...but whatever happened, happened. After Dunkin Donuts disappointed me, there was a salad shop across the street. Through the glass I could see a bathroom sign on the door. What a perfect match, a salad and restroom under one roof! As you can imagine, after being angry my emotional state lifted and all was well with the world again. Ha! So let's get into FFFWEEK! Gwen DeVoe, founder of FFFWEEK never disappoints. I remember learning about FFFWEEK three years ago, saying "I’m going". The time came and quickly went; unable to attend 2016, I had to settle with the fact it was not my time. I told myself that next year, I'm going and I'm going to sponsor and guess what? I did both! As an event producer, we make hard decisions, invest blood - sweat and tears into people and production. A lot of people think it's an easy thing you can put together in a day...2 days. News flash, it takes months and sometimes a little over a year. Needless to say I have huge respect and love for Mrs. Gwen, I could write all day about how in such a short time, she has really changed my life for the better. Let this be a lesson to you, if the people you allow into your life don't make you a better individual, why are you allowing them to take residence? The gag is, people say women don’t work well together, women don’t support each other…All Lies. I met Gwen through the power of social media and knew immediately she was all things business and beautiful. My Bible says you know the spirit by the spirit, and I feel blessed to call her friend to this day. She welcomed me in, offered me great advice and she sponsored one of my events in 2015 before we ever met face-to-face. As leaders and women we have to know we are strong together! When you win, I win and I want all the people I love to win. Business & life combined are hard enough there is no reason why anyone should choose to make it harder. I get so much joy from supporting my sister friends across the globe. It’s a beautiful thing and I am looking forward to even more. It’s a great feeling to find a place you can call home. The plus community has become my family and within it I’ve meet great people I call friend. Learning about FFFWEEK happened at a pivotal point in my life. I was working hard in NC to build a platform for plus women to shine showcasing their talents. With 15 years of production experience, a lot of people don’t know that I am a thespian and love the arts. I saw a need in my community and created I Rock My Curves the best in 2013 as an awareness and empowerment brand. As the years went by I started wondering what am I going to do next? Do people appreciate this opportunity? I was getting burned out, I was losing money and at the end of each production I’m left holding the bag full of questions and receipts. The one thing I wished my community appreciated more was the arts. For three of the 5 years, we would be in production season for 9 out of 12 months to prepare for our annual show. That’s a lot of time, money and energy. 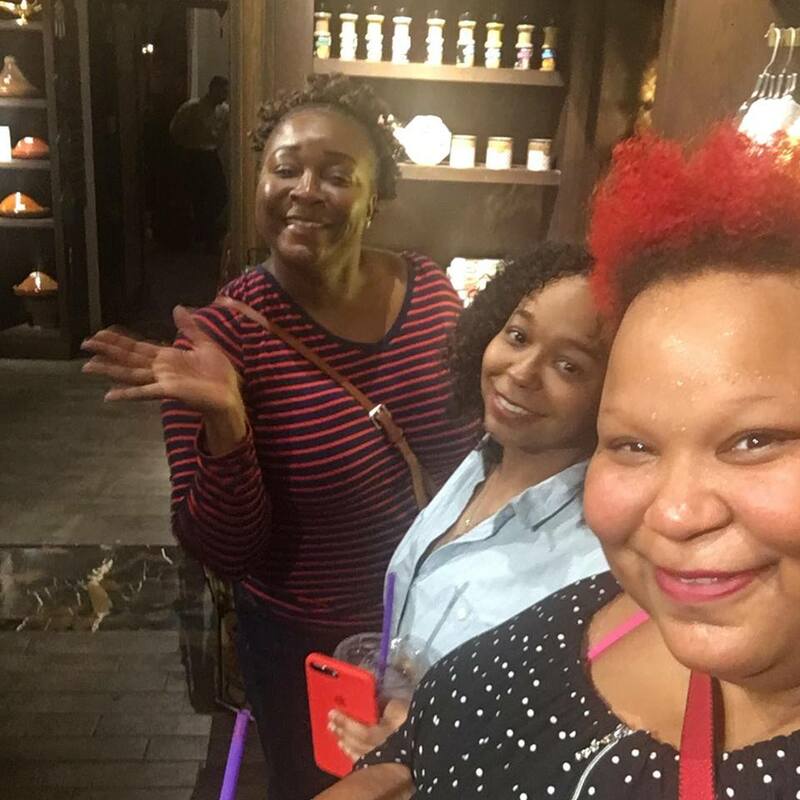 But after connecting with others in the community, listening and following the path God has for me, I was excited about what was to come. FFFWEEK has been many things to many people. The platform has changed a lot of people lives. The heart, purpose and vision of FFFWEEK is what I think drew me to it. I saw the bigger picture. To be in any industry for 10 years is a huge accomplishment. Each year as a producer you try to outdo yourself every year offering your guest an enjoyable and memorable experience. If you missed the 10 year celebration, you missed a good one. This year was like FFFWEEK homecoming. The people you love were happy to see you and you were glad to see them. 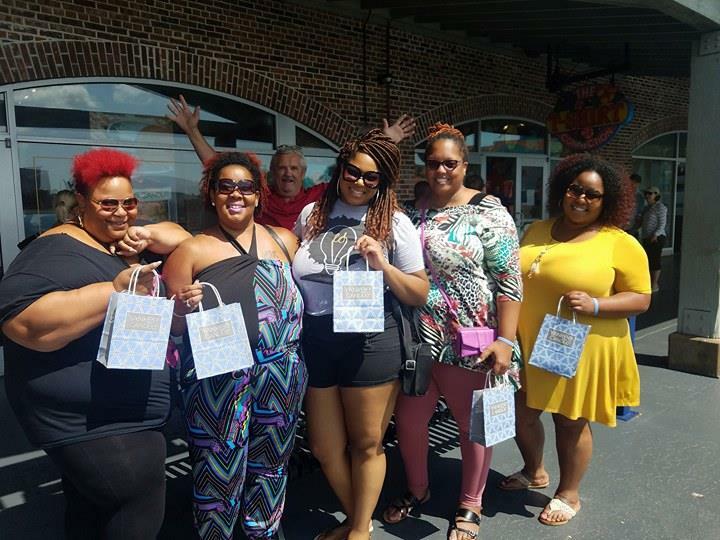 The events and workshops were well planned and there was something for everyone to enjoy and let’s not forget the white cruise. Some of y’all tried it this year…LOL. The cruise always sells out; there were many broken hearts when the post went up SOLD OUT. Gwen gave plenty of time for everyone to lock in a ticket…Don’t play around next time, get those tickets early. One thing I love about life...is relationships. Relationships mean a lot to me. I feel super blessed to have several subfamilies within my community. 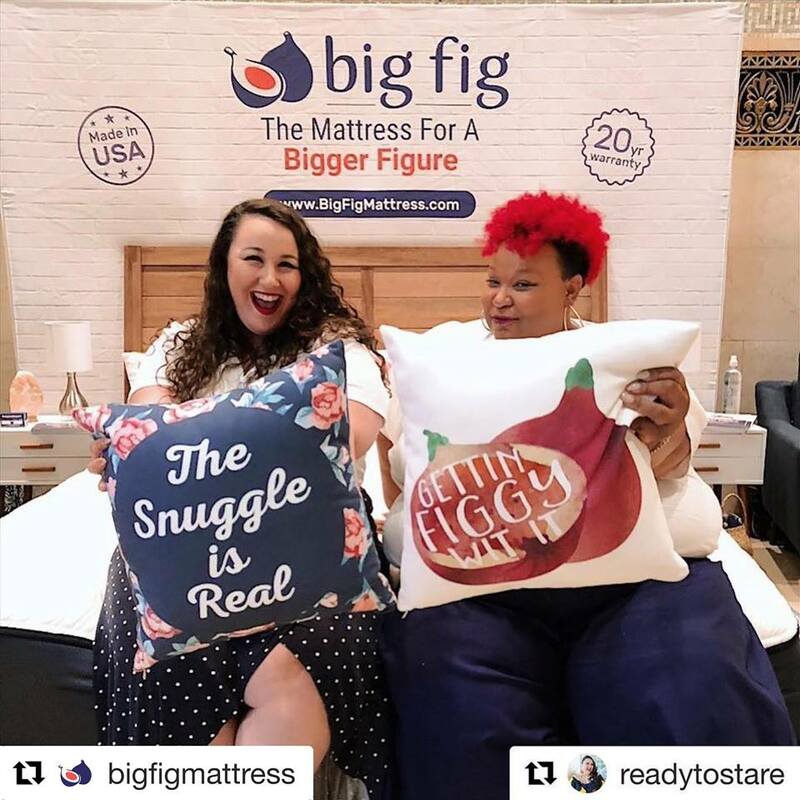 This year I was honored to represent Big Fig Mattress at FFFWEEK. It’s always great to do what you love with the people you love. I tell people all the time, Big Fig is my family; Andrew, McKinzie and Lisa are the new homies. They have a great team and even better than that their Big Fig promise gets me every time I get in bed. I literally stand on Big Fig… catch them next at TCF Expo in Atlanta August 18. Take a spin, it will change your life. Use the Code KENYATTA at checkout and save $100. Until the next adventure...Live - Love - Laugh & Most of all be good to yourself. You can't go to NY & not have sticky wings with good girlfriends at Dallas BBQ's and at midnight! ​For over 50 years, we have seen the evolution of EBONY. From fashion to politics…EBONY captured the African American perspective and voice creating a platform for blacks to be seen and heard. EBONY was founded in 1945 by John H. Johnson a visionary, businessman, husband and father. The first launch of EBONY was well received selling 25K copies. Among everything the Johnson’s were able to accomplish in their lifetime, they were good people who served and loved their community. 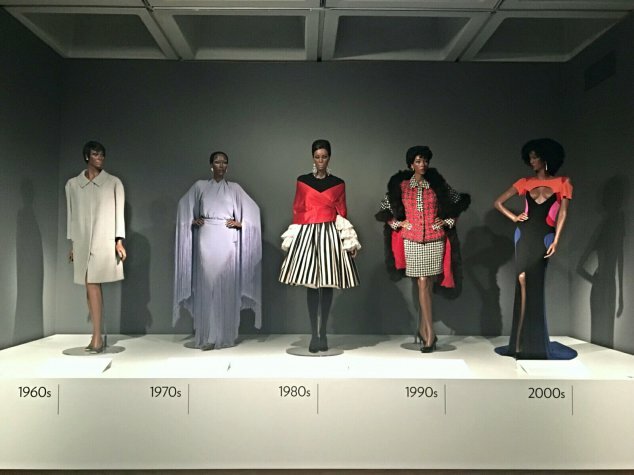 Last week I visited the NC Art Museum to experience 50 Years of Ebony Fashion Fair. It was a magical night that invited women to get dressed up in expressive fashions for a “Girls Night Out” with EBONY. The night resembled EBONY’s spirit for fabulous fashion. Image a room full of women, all different backgrounds, professions, races and cultures…all dressed up representing the best of who they are. Some women played it safe. Some women dressed in fashions that were clearly an extension of who they are. 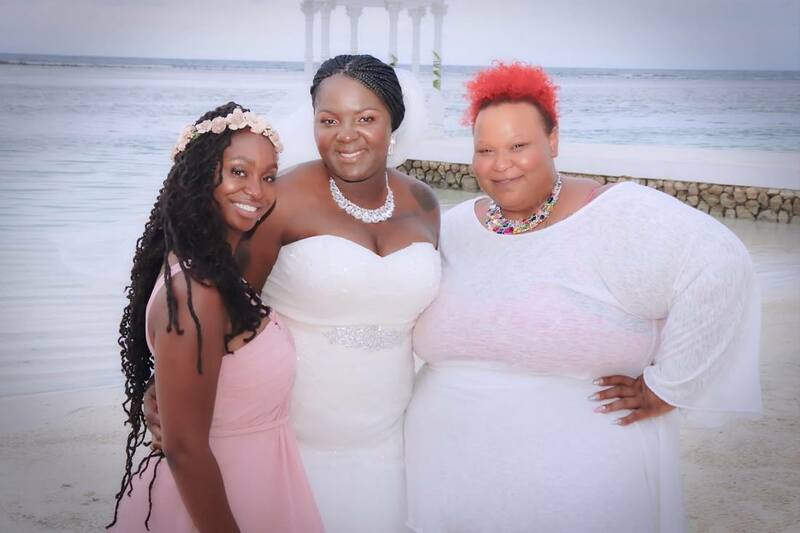 But whatever the fashion statement was…the women looked stunning! ​Between smiles, hugs, drinks, food, mini photo shoots and laughs…It’s safe to say, I had a great time! Witnessing the evolution of EBONY's fashion & history from 1958-2009 was pretty amazing. The exhibit is breathtaking. It surpassed anything I could have imagined. Each exhibit gave me a new emotion. If you are in the Raleigh, NC area or don’t mind a short drive…do yourself a solid and go see the exhibit. Take your daughters, fashion students, girlfriends, mom, aunt. Whatever you do…just make sure you get your hips over to the NC Art Museum & be sure to wear something fab. You will be glad you did. 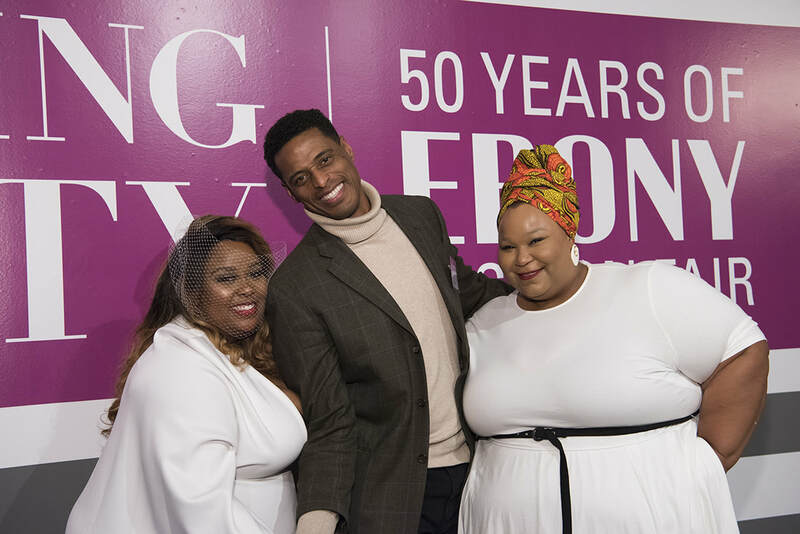 Cheers to EBONY for 50 years of black excellence and dedication to fashion, your community, black people! I salute you. Thanks for reading loves. Comment below and be sure to share. ​They say Disney World is this special magical place where a kid can be a kid. I vaguely remember our family vacation to Disney when I was eight...LOL. Thank God for my dad’s handy dandy VHS tapes or I wouldn’t have any memory at all. So with the help of those VHS tapes…I had a great time in Disney as a child. But…a few weeks ago I learned for myself Disney is indeed a magical place. …28 years later… I am ready to move to Orlando so I can be one with Disney. LOL We has a ball. My College mate lives near the area took very good care of us while we were there. She made sure we had a great time. Between my friend and The Disney Experience, Orlando was a blessing that I didn’t know I needed until I got there. ​Traveling with my sister was a beautiful experience for the both of us. We both love to travel so this was just what the doctor ordered. Our first experience at Disney together as adults was one for the books. I was angry with myself for never thinking to vacation at Disney. The place is amazing. Everyone should have the experience. Let nothing keep you from going to Disney. There is something there for everyone to enjoy. Everything about Disney makes you feel like a big kid overloaded on a super natural high jumping up and down doing the potty dance but you don’t have to potty. I don’t think I stopped smiling the entire time we were there. 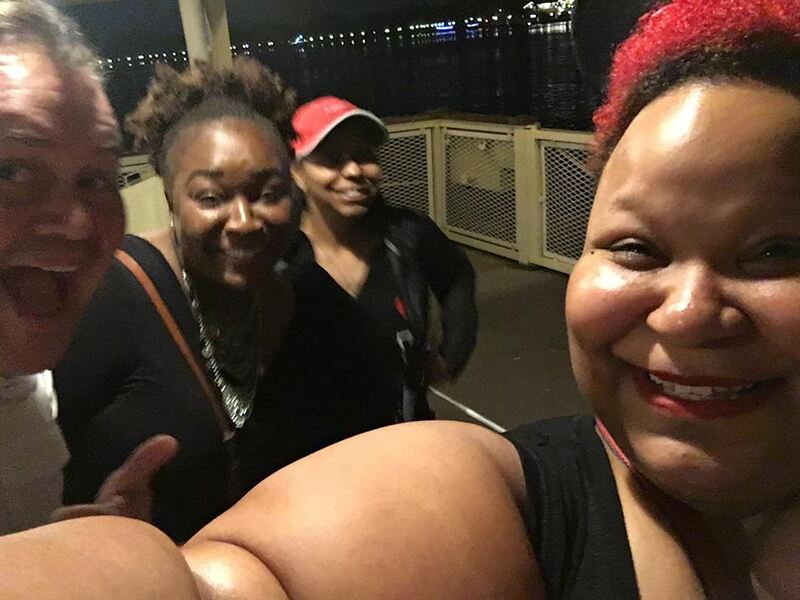 ​We were in total euphoria from the Disney entry point…to the ferry ride… to the Magic Kingdom to Epcot. Every moment was pretty and magical. 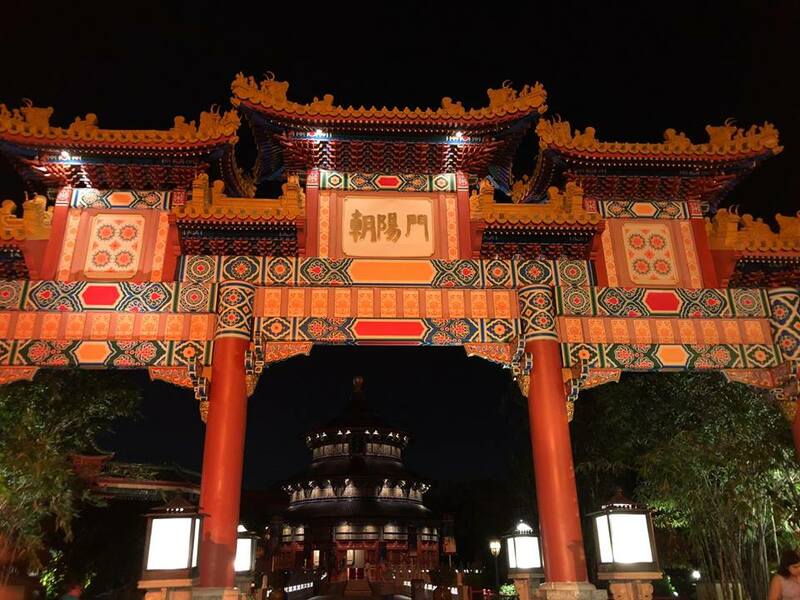 When you arrive at Disney, you almost feel like you have been transported into a new world separate from anything you’ve ever experienced. There were tons of people from all over the world, have fun, walking, riding, eating, speaking different languages and having a ball. The Disney Cast members were dressed up for the holiday and everyone was helpful and friendly. The theme parks were clean and the food was amazing. To say we were both pleasantly overwhelmed would be a huge understatement. I really don’t think there are words to express how cool it was to be me at Disney. I will tell you this…If you have not been, make it your business to go. You will want to go back annually. With that in mind, I have decided to go back in January and celebrate my birthday with my friends at Disney. You will never see all of Disney in one week. Download the Disney App. It will show you everything about each theme park. Wear good walking shoes (You will thank me later). Save as much money as you can. You will want to eat yummy food the whole time LOL. If you travel on a budget like I do…purchase one or two authentic Disney items for yourself. Swing by your local Wal-mart for gifts for family and friends. It will save you a ton of coins. Do not take bribes from people selling Disney ticket. They are lying. Make sure you visit Disney Springs. Take a real camera. Your cell phone will let you down..Promise LOL! Pack a battery pack…you phone will die quickly. The Magical Kingdom is non-negotiable. If you theme park in the day be sure to give yourself a break, and go back for the fireworks at night. It will be one of the most beautiful fireworks shows you have ever seen. Have You Been To Disney? I’d love to hear your Disney story. Have you been to Disney or are you planning to go? Let me know. Traveling is a lifestyle. Everyone should incorporate a lil travel into your annual or monthly diet. Travel opens you up to new things and exciting opportunities. Get exposed. See something new. Meet new people. Give yourself the girt of travel. If I can help you plan your next vacation…feel free to let me know. Booking travel makes me happy. I love to send people off to new worlds and new adventures. My travel concierge service confirms all your travel plans for you so you can focus on having a great time. Feel free to email me before booking your next trip. Info@iamkenyatta.com . Don’t forget to leave a comment and tell me about your Disney memories. If you would like to travel to Disney in January…email me for details. More Disney Pics...Next Time I'll be better prepared! ​There’s so much to be thankful for this holiday season. 2017 has been a blessed year and we are all blessed to be here. So often we take like and the small things for granted. But I am glad to share a little holiday cheer with you. I was reflecting about family and the one thing that brings people together. It’s the heartbeat of loved ones and the calling card that brings everyone home for the holiday…Can you guess what it is? Yuppppp….It’s Food! Everyone has a holiday favorite that brings back childhood memories and good times. If you are like me, you miss the smell of grandma’s kitchen and the warmth of family and friends all gathered around enjoying time old traditions. So in honor of holiday…I cooked! Yes…You can cheer now…clap or something LOL! The fact that “I” cooked is a big deal because I don’t do it often. As a single professional woman always on the go…it’s easier and cheaper to eat out or grab cereal LOL. But don’t get it twisted, I am my grandmother’s apple and I didn’t fall far from the tree. I am a country girl at heart and my roots run deep. Everything she taught me about cooking focused on the love for those you were cooking for and trusting the love in your heart to make everything taste amazing. And the proof was always in the second helping, long naps and quiet moments after everyone was full and about to pop…! ​I am so thankful for my memories of family and food! Food defines traditions, creates memories and brings families together year after year. This year, I’m getting started early with some of my favorites. Greens and yams are my all time favorite sides, seasoned just right for the holiday matched with sweet cornbread. 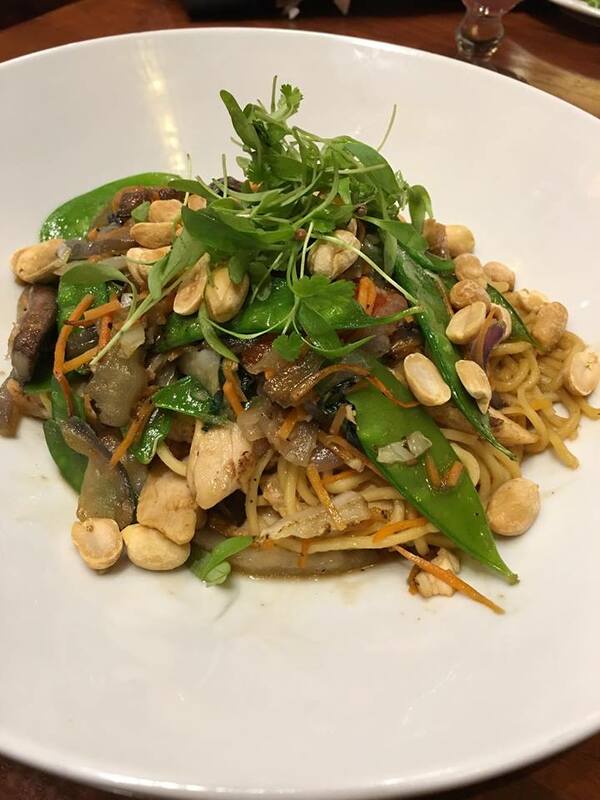 Nothing beats that feeling you get with you bite into a hot mix of beautiful fresh garden greens infused with a touch of southern heat and sweet honey! I’m talking about the love folks…LOL. And because I love you dearly…I wanted to share my receipt with you. I hope you enjoy. Washing and clean greens (You need a bushel per person) Be sure to pull the stem out as much as possible. Keep the leaf. Once you clean and chop greens. Get your large pan (with lid) hot. Add EVOO to pan. Sauté unions, green peppers and 2 teaspoons of garlic. Once the unions become translucent add a handful of greens at a time. Mix while adding greens. One the pan get full and you can’t mix greens anymore…Add half cup of chicken broth and cover for 5 to 8 min. You will see the greens wilt down. Turn them and add seasons to taste. Turn greens again. Cover… let sit for 5 to 8 min. Repeat adding greens if all greens were not added. ​Once all the greens have been added, turn heat to simmer. Add half cup chicken broth, stir greens and cover for 10 to 12 min. Here is where the love comes in. You have to look at the green to gauge if they have simmered long enough. One sign is the liquid in the bottom should almost be gone. If you want them a little softer, add more liquid and let it simmer with the top on. Don’t over simmer the greens. Once the liquid has cookout OR you are happy with the texture, TURN THE HEAT UP. Add 5 tablespoons of EVOO and let those babes fry. Continue to stir and turn the green until the greens look yummy. Add the other half of the garlic and red pepper flakes. Continue to stir fry, add honey and keep stirring. Taste your greens. They should have an even flavor of heat and sweet. I look forward to you trying this receipt at home. Remember, the holidays are meant to be shared with those you love the most. I pray you enjoy your family and loved ones this holiday season. Be sure to pay it forward and find someone to be a blessing too who is less fortunate. Food has a way of healing hearts and making spirits bright. ​October, 2017 three lifelong dreams came true. Three dreams I thought would not be possible: I finally traveled outside the country, I flew first class and I enjoyed a real vacation with blue beaches, white sand, cute Jamaican men, great food and endless drinks. All I had to do was be present and enjoy every moment. A vacation like this is never long enough…LOL. If you haven’t experiences an all inclusive resort…YOU MUST! The Sandals Resort was amazing…everything was five star. Anything I needed…the response was “No Problem Mon”. The staff, travelers, food, drinks, 24 hour room service, special order ox tails... Let’s just say it was hard to leave, three more days would have been perfect. I ‘am defiantly going back next year. All inclusive resorts are the way to travel...I’m hooked! Thanks Sandals. I wish I could report, I planned this wonderful vacation for myself. 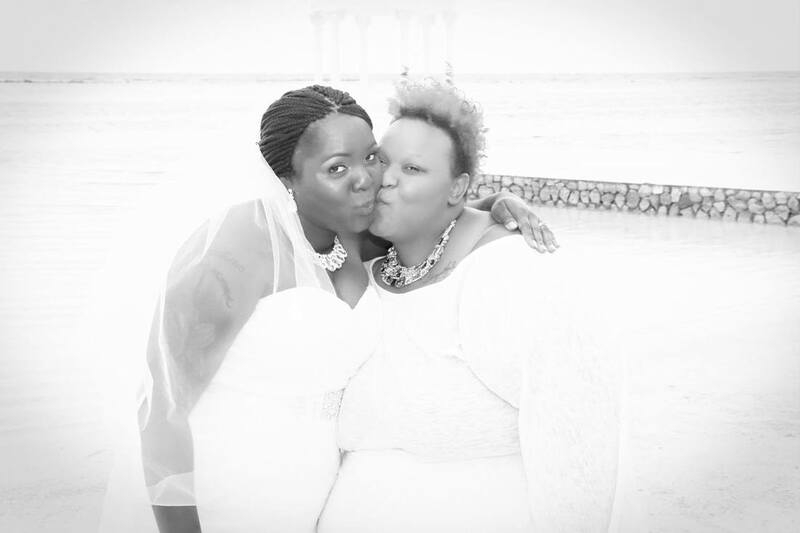 My best friend decided to have a destination wedding and of course she needed me and I wanted to be there. 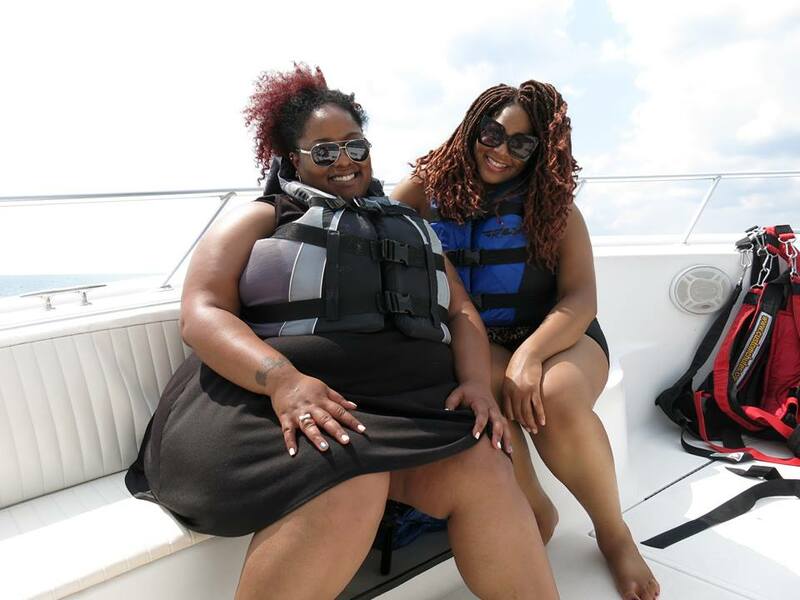 In traditional “I’m going on vacation” fashion, the first order of business was to lose weight…LOL! I told myself I was going to lose 100 pounds before my trip. The year came and went and I’m still holding the same weight I promised to lose. On a good note, one of the pilots gave me a fist bump and said he thought my shirt was dope. I should have snapped a picture but if you fly…you know people are eager to find their seats so I kept moving. Everyone flying has some level of anxiety until there are safely back on the ground and de-boarding the plane. Reflecting now, it was necessary for me to take my first international trip alone. I tried so hard to take someone with me…I begged people to go. My mom, sister…friends, no one could make the trip with me. After my last attempt to invite a friend failed. I looked to God as said Lord…You must desire I make this journey alone so give me peace and strength to do it. I am pleased to report, I flew to Jamaica and back home…and lived! Jamaica was worth every dime, every sky-mile and every bead of sweat. It was HOT…I wasn’t ready! Y’all know #immafatgirl and we don’t like to be hot. But next time…I’ll pack lighter, wear less, stay longer (One week isn’t enough), and I’ll bring back more Jamaican Rum Cream. The stuff is like crack. If you get to Jamaica before I get back…be a doll and bring ya girl a bottle. I’m headed to Orlando in November…Stay tuned for more Fat Girls Travel Too. If you enjoy my blog, share with a friend. Until this fat girl travels again...Y’all be easy. What a trip...! This #girlstrip was one for the books. I've been to Myrtle Beach several times, this is the first time I think I actually engaged in what the area had to offer. This girls trip was fun and exciting. We were ready for adventure and that is just what we had. To just say we had a great, fun and relaxing time is a huge understatement. Here are just a few highlights from our trip. We stayed 3 beautiful nights in Myrtle Beach, SC in a 2 bedroom ocean front resort. Between the five of us we split the cost of the trip and was able to enjoy a much needed getaway before the official end of summer. A summer without beach time, is not a summer... We ate until our hearts were content. One girl said she gained 5 pounds...LOL but I think she was just messing. Meals were a mixture of fine dinning and home cooked goodness. We cracked so many crab legs...We left when they turned the open sign off...don't judge us. We were trying to get our monies worth...ha ha! 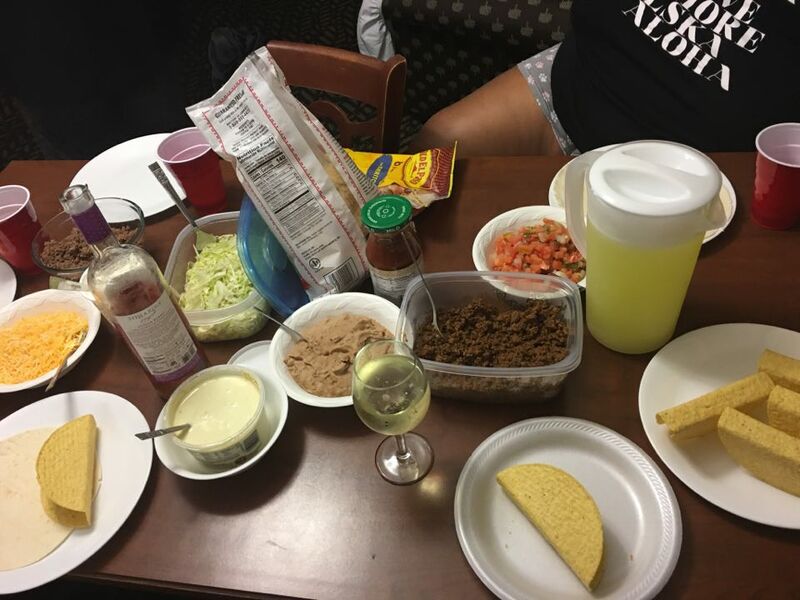 Two of the meals we cooked were so good, we debated which meal was the best...Taco night or my famous rich and creamy grits? I think the group decided they were both equally memorable. Everyone went back for seconds...so I'd say it was pretty darn good! I slow cook my grits for over an hour...string often to ensure smooth slap yo mamma grits. Now...I can't tell you what I put in them...however I always make them for my #Kaycatioin crew when possible (smiles big)! There are several advantage to traveling with people you don't know. Some people shy away from it but I say...embrace it, you never know who you will meet and how that person will impact your life. After all, this is why I started #KaycationTravel. I saw people's desire to travel more! Connecting with others who desire a traveler's lifestyle is a no brainier and who doesn't like traveling on a budget! Group travel offers everyone a chance to travel. Bringing people together is what I do. It's a gift. Something magical happens when you allow yourself to meet new people and share new experiences. And let's be honest, most of the people in your regular circles aren't trying to travel. They are afraid of everything and the excuses they give about why they can't travel is nuts...LOL. But I know there are people who will travel if the price is right. When you travel in a group, you get the best of both worlds. In a world full of hate it's refreshing to meet like minded people who love to travel, find power in being social and embrace new adventures. These two (below) just met on our trip...can you tell? They rode a banana boat...If that doesn't help you bond with people i don't know what will LOL. 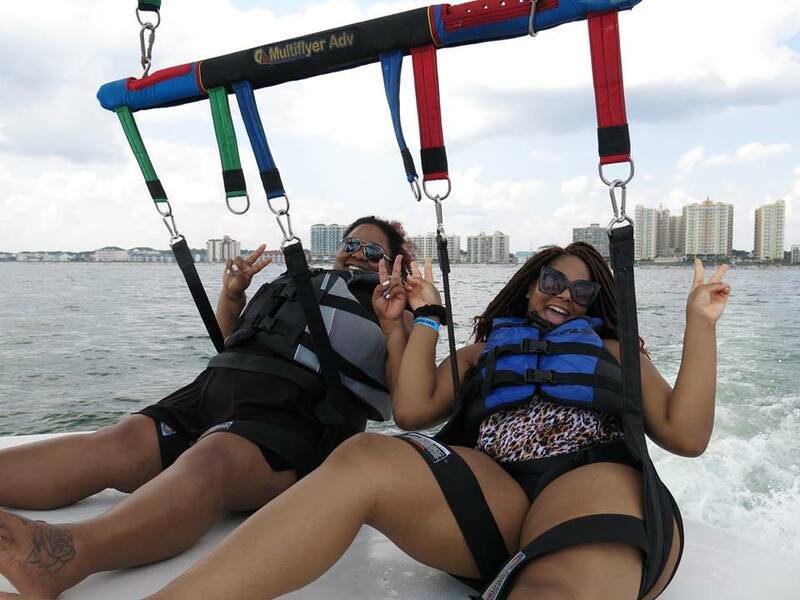 They made parasailing look easy. I think its safe to say they will be good friends long after their #Kaycation. Leaving a great trip is always bittersweet. However, we went out with a Bang. We enjoyed a great meal, slamming drinks, a screaming boat ride and good laughs. Friendships were born, hearts were lifted, a birthday was celebrated and we all made it possible for each other to share in this much needed weekend. Before I knew my own power and strength, I undercover hated my fat body! Yup...you heard me right! I fell into the fat trap of being body shamed. I allowed societal norms to distort my thinking with the belief there was something wrong with me. The truth is, over 50% of the world’s population is overweight...fat...or obese. Beyond the stats I still felt ugly, unwanted and judged for being fat! I over dressed to hide skin, I was afraid to wear my arms out and I avoided eye contact with men and girl...you know I love a good lookin' man. 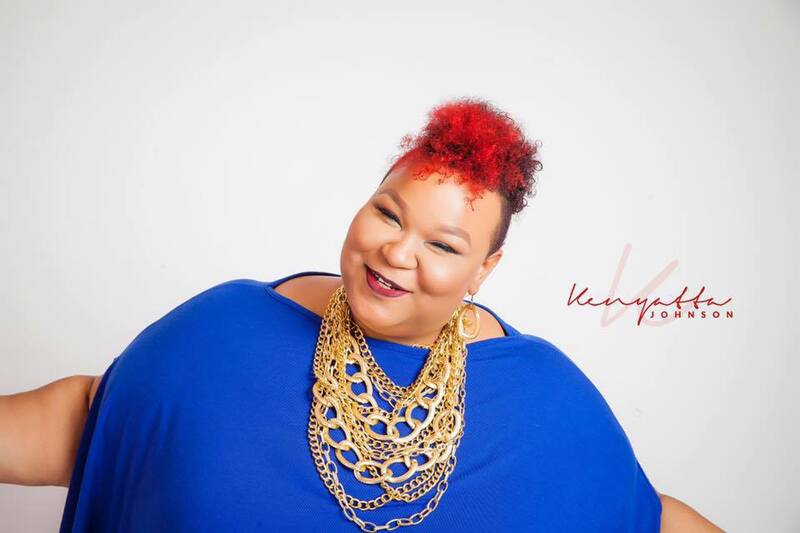 However, coming to grips with my truth, I knew I had to change my unhealthy self-reflection if I was going to overcome the negative thoughts associated with being FAT. I low-key really want to slap the person who decided that "fat" was offensive and made fat shaming normal. No ma'am...no sir. Get out of here with that! We all have things that we are body conscious about. NO ONE IS PERFECT. NO ONE! Truth be told size has nothing to do with it. It's been said if you change your mind...you will change your life! Welp, it’s true. The Bible tells us "So a man thinketh, so IS HE". Aren't you glad God was thinking about you and loved you so much that He made provision for you in His word to get you and keep you on the path of healthy thinking? What an awesome God! So not only do I get to choose my thoughts, I have the honor of helping others realize their God given POWER...! It keeps me honest and humble. 4. Always maintain a positive attitude. 6. Do what makes you happy daily (Learn what you like. Stop being passive). 7. Always look your best (No matter your size, jazz up! When you look good you feel good). 8. Have daily quite time (Center yourself and focus on what’s important for you). 9. Don't be afraid of the unknown (You will encounter some feelings and challenges along the way to building your confidence...go back to step 5 and keep moving fearlessly). 10. Repeat steps 1-9 as often as needed. Today I celebrate MY body, MY fat arms, MY bare face and the beautiful soul that is all 100% authentically ME! I know I am desirable. I am brave. I am beautiful! I am free! I am FAT & Unafraid! I am me... #confidenceiseverything I am walking in love and light. I attract powerful and loving people. I am God's creation. I reflect God's love & power. I create my world and all that is in it. I am a reflection of my choices. I choose to be happy and free. I choose to love beyond hate. I choose to be the best me I can be daily. I am capable to do all things. I react in love and not hate. I lead and build leaders. I am not afraid to shine. My steps are ordered and I win through Jesus. It's NOT MY PROBLEM...Repeat after me... "It's not my problem".... "It's not my problem"...."It's not my problem"! Today is full of opportunity and another chance for to make your life matter. As a life coach, I work with clients to solve, plan, master, create and empower their lives. All of my clients have one major common problem...they don't understand there power and what they can and can't CONTROL. Let me explain! The only person you have control over is YOURSELF! It's simple but important. When you decide to change your perspective, your life will change, your mind will change, and your actions will change. Being able to master your way of being requires you to be honest with yourself. You don't need anyone's permission to be great. People waste their life away off the opinions of others. What others think and/say about you is NOT YOUR PROBLEM. ​Today's Refection: Master yourself.Master your thoughts. Master your actions. Be true to the reflection in the mirror. Honor and love yourself above all. Remember It's not your problem". Have a super great and on purpose week. Women carry the world on their backs with no reward and often times, nothing to show for it but bruises. For centuries, women have endured abuse, heartache, sadness, loss, grief, sickness... you name it we have survived it ALL. This year we decided to speak to the point that we survive everyday, just for the simple fact that we are women. For that fact alone we have to fight for everything we have. 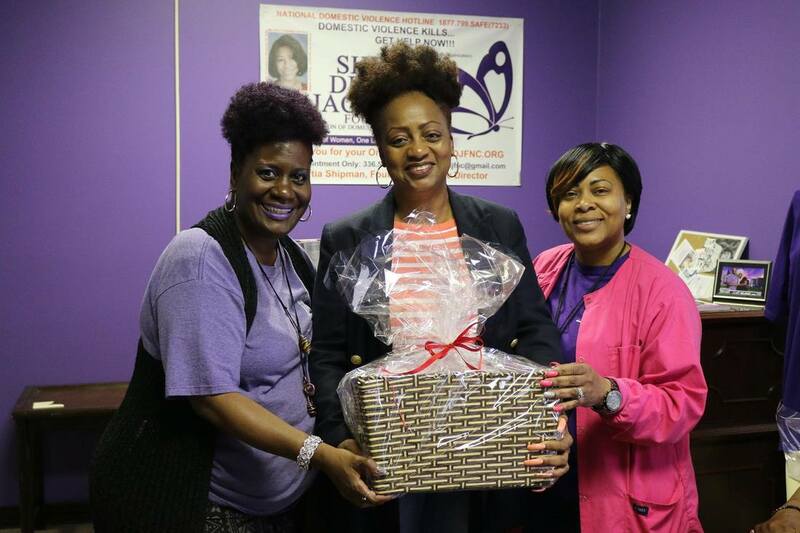 So in honor of SURVIVING, The Queen of Hearts Project a non profit organization came together to make Mother's Day Baskets for deserving moms. 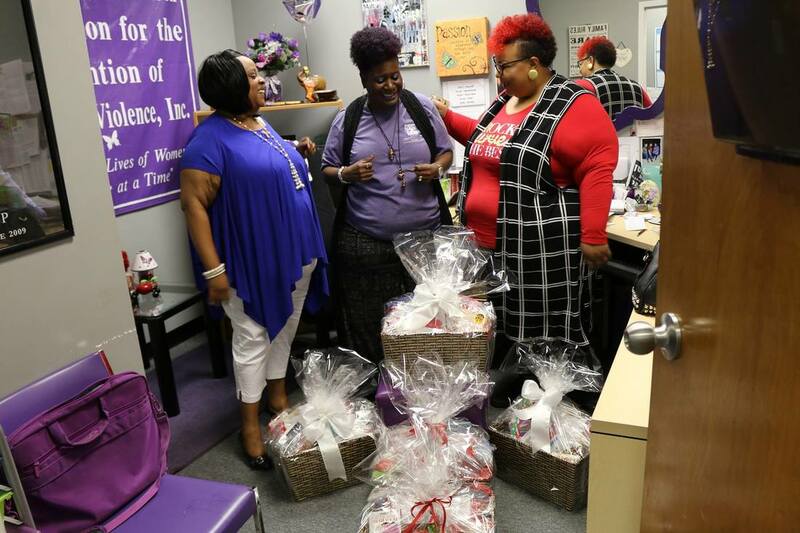 With donated goodies, everyday essentials, a little bling and a few extra things moms enjoy we presented these baskets of love to the Sherri Jackson Foundation. This organization helps women escape abuse and offer them counsel, and programs to build them up and empower them. 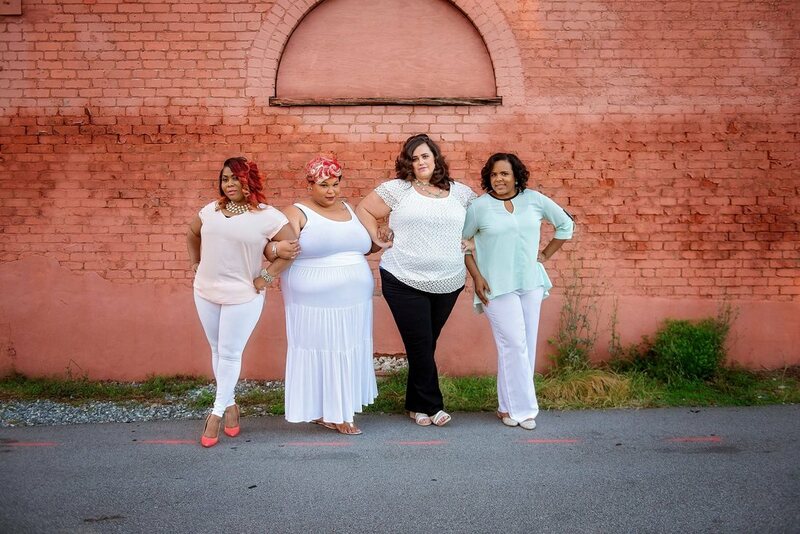 These women and many life them have survived the darkness of domestic violence and they stand to share their stories with others in hopes to bring awareness and education for the prevention of domestic violence. We are truly grateful for this opportunity to serve our community, empower women, make a difference and to donate these Mother's Day Baskets to the beautiful, strong and powerful women who are still surviving! From our family to yours, we pray you have an amazing Mother's Day. Find someone to share a hug, a kind word or just a simple smile. Even the smallest gesture will brighten the darkest day!